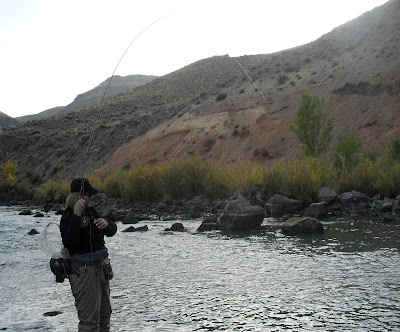 The River Damsel: SET That Hook Like You Mean It! SET That Hook Like You Mean It! That's right...If you don't set it, you don't catch it. Simple as that. 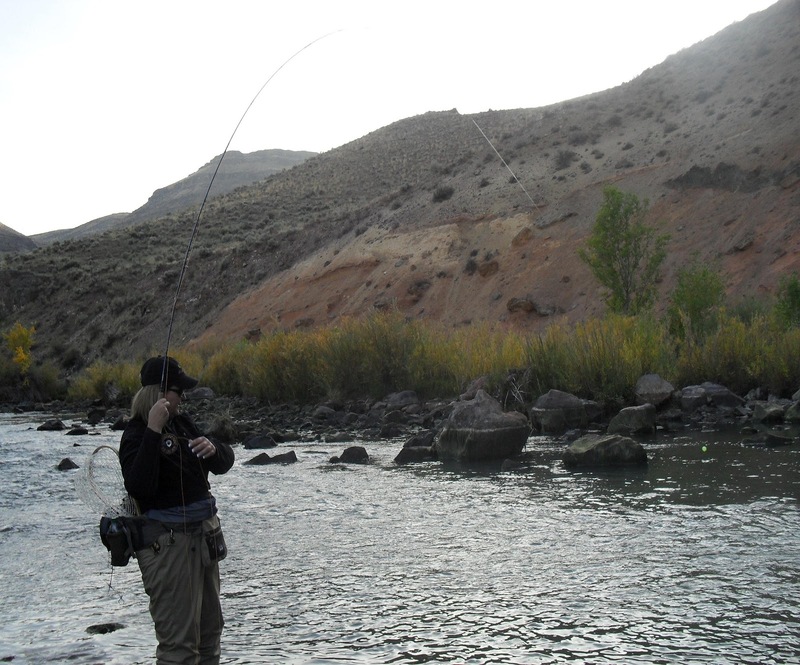 When I first was learning how to fly fish, I wasn't quite sure when to set that hook... In nymphing, everyone told me that I would feel the line ever so slightly pull away from me. Oh, and watch that indicator as it makes the first little dip down into the water. And lastly, KNOW when that indicator is going to make that first little dip before it actually does it! Ha. Ok... Was I supposed to be a mind reader? A fish whisperer? You know what...The guy who told me the last rule, was right on. Anytime you even think you have a strike...SET IT!!! It's when you hesitate even in the slightest way, that you will lose the chance for a strike. I figure that you miss every shot that you don't take. I'm being serious there...it's the truth! Right? So, what if it is a branch underneath or a rock that you get hung up on... it also could be a fish! <"(((((><< Then, you will become a believer of the rule of setting anything that you might think is a fish. Just put a little bit of faith in yourself and that the fish is going to take the fly. Tomorrow, I am not going to set like an old lady...I have truly been a whimp with the fly rod. My new mindset goes like this... Set, Set, Set! No pain...No gain! The reason I am so adamant on this setting thing is because of late...I have been late. So many fish on my fly, but because of hesitence on my part...they ended up laughing at me. 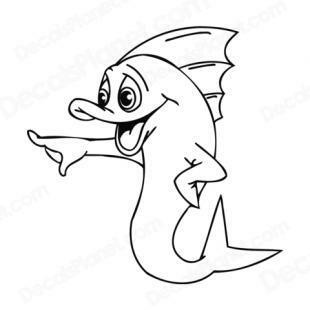 Have you ever seen a fish laugh???? Oh, I can't even imagine how it could have been if I had brought them all in. It has been a couple of great weeks for the River Damsel. I think that I finally have turned the corner, so to speak. But, my ratio is a bit off and I know that if I set that hook just a little bit quicker, I will find a few more in the net. Not that I am unhappy about my catches as of late. But, you know the feeling when the big thud under the water is there, and then not there. Yeah... Anyway, tomorrow I'm going to set that hook like I mean it! So I was out this last weekend for carp on the fly. I made a nice cast to a bridge piling and within a couple of seconds had a slight hesitation in the line so I set the hook like I meant it just like you suggested. The little 4" blue gill that flew 40 feet in the other direction would have to disagree with your advice. What can I say?! I thought it was a 20+ carp! Kelly needs to read this post. She's missed several good fish lately due to wimpy hook setting... but she's still making me look bad. On second thought, maybe she doesn't need to read this post. By the way, I've made my fair share of Bluegills fly too. Ahhhh...Jay! You and Kelly will always be partners in fishing, rather than competitors...I know that! Now...let her read this post. Ha. Nick, That's happened to me as well. That's where the term fly fish came from. Good tip for trout, maybe not so good for bluegills or brookies. I've been slapped by small brookies as well as flies, lures and worms. Howard - Mmmm...maybe I should have specified. 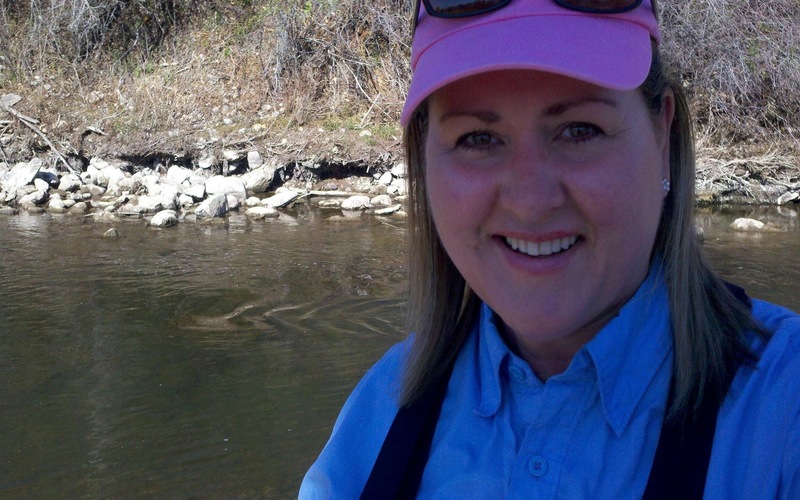 Yes, this would be fishing tips for larger trout. Sorry...all of you little bluegills! A fish laugh? I'm not quite sure if I've seen that, but I am sure I've seen a fish stick it's nose up at me. In fact, several times. Mark - They also smile. After the hook comes out. Bill - Boy oh boy...wouldn't we have a great time fishing together! I could show you how to nymph with indicators and you could show me how to dress up a dry fly (I can't see those darn things...that's the problem!) And yes...high sticking is always an option too! Yeah, this definitely applies to waters haunted by large fish. I tried the "KVD hookset" a few times and launched those tiny 6-8" trout I usually catch. Someday (maybe soon) I'll get on the waters with the big guys like you! I love that so many others have sent a bluegill flying! "Sunday Tippets" For Georgia Bound, Troutrageous!